Nous reproduisons ci-après à titre d’information le texte de la charte, lisible depuis votre navigateur web. Pour l’adopter, téléchargez et complétez la version Word ou imprimez la version Pdf ci-dessus. the second sets out the general framework of the USPC Doctorate. When this charter has been finalised and approved by the Doctoral College (CED), the institutions concerned can include it into their own charters and doctoral supervision procedures. The charter should be applied to all doctoral students in all institutions whose doctoral studies are coordinated by USPC, including those under international cotutelle. If necessary, each doctoral school may supplement this document with its own appendix specifying any complementary regulations. – All students enrolled in the doctoral programme, agree to complete their defined research project, follow training courses and conform to the supervision procedures set down by their doctoral school. While undertaking doctoral studies, students will also work towards their career plan. – The thesis supervisor is the doctoral student’s principal interlocutor. The supervisor, as a member of a research team associated to the doctoral school, approves the doctoral candidate’s research project; he/she undertakes to supervise the project and ensure that the student disposes of the means to carry it out. Supervisors make sure that candidates follow the requisite training and conform to the doctoral school’s supervision procedures. Supervisors are proactive in providing candidates with guidance regarding their respective career paths. – The head of a research unit is responsible for ensuring that doctoral students are successfully integrated into the unit as researchers in their own right; as such they dispose of working conditions conducive to the successful completion of their research. – The director of a doctoral school ensures that doctoral research projects are approved and supervised. Directors must also be satisfied that doctoral students receive high quality doctoral training; they make sure that the rules governing the doctoral process are fully respected. The doctoral school is committed to informing candidates of career prospects open to doctors. The signatories to this charter take note of the procedures in force in their institutions and agree to apply them. The preparation for a doctorate combines high-level training with professional experience in research. This culminates in a thesis defence after which the candidate is awarded the title of doctor. A doctoral student’s work consists principally of carrying out innovative research under the supervision of one or several thesis supervisors in the research unit of a doctoral school. The research culminates in a written thesis that is approved as a piece of scientific research. The title of “Doctor” sanctions a high level of competence applicable in a wide socio-economic context. the recruitment and supervision procedures set up by doctoral schools. the recommendations of local coordinating bodies and those of the USPC College of Doctoral Schools. 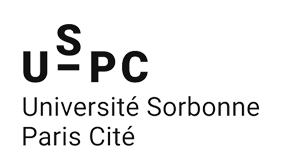 Doctoral training takes place in one of the Doctoral schools of the University Sorbonne Paris Cité. The doctoral school selects doctoral students through a transparent process, organises their training and provides them with guidance in career development. Doctoral students freely come to an agreement on their research topic with the thesis supervisor in a research unit of Sorbonne Paris Cité. This agreement covers the precise definition of the research project and the working conditions (including funding) necessary for its completion. Both thesis supervisor and doctoral student are respectively subject to rights and obligations of a high standard. All doctoral students are fully recognised as researchers and treated as such. The institutions agree to act in order that the principles set out in the charter are respected during preparation for the thesis. In the case of cotutelle or partnership with an external institution, the partner must be informed of this charter and agree to conform to its requirements. 1 – The thesis, a step towards a personal goal and a career choice. Preparing a thesis must be a both personal goal and a career choice ; its goals and requirements must be clearly defined. This means having clear objectives and the resources to reach them. The supervisor and the research unit provide the Doctoral School with justification for the resources allocated to the doctoral student in the pursuit of his/her research. The Doctoral School makes sure that the greatest number of doctoral students benefit from funding when they do not have any other full-time employment. The objective of the thesis supervisor and the unit director is to obtain funding that, as far as possible, covers the period of doctorate training for doctoral candidates without other full time employment. Doctoral students should receive information about all career openings in their domain of research, both inside and outside academia. National statistics on Doctors’ careers and information on the careers of those trained in the respective doctoral schools, are available on the website of the collège des écoles doctorales. Doctoral students’ career development should be discussed during interviews with their thesis supervisor. With a view to informing the laboratory’s future doctoral students of career possibilities, graduates must inform their thesis supervisor and the head of their doctoral school of their own career development for five years after obtaining their doctorate. Doctors will respond to questionnaires from their institutions or doctoral schools, informing them of any changes in electronic or postal address during this 5-year period. Doctoral students should be proactive regarding their career development. The thesis supervisor(s) and doctoral school provide assistance with this. Doctoral students must adhere to the regulations in force at their doctoral school and institution regarding training. Various courses are suggested to broaden students’ transferable scientific skills. These are organised by the doctoral school, the college of doctoral schools and the doctoral students training centre for career initiatives. These courses are certified by the doctoral school and inform doctoral students about potential careers including those outside academia. When the above conditions have been met, a training agreement is signed by the doctoral student, the unit director, the thesis supervisor and the director of the doctoral school. Each doctoral school publishes its recruitment procedure and selection criteria for doctoral students as defined by the school council. Enrolment for a thesis specifies the research subject and the associated research unit as well as the resources and amount of funding anticipated for the doctoral student (doctoral contract, CIFRE grant, employee quota for the profession or other). The thesis topic leads to research that should be both original in nature and instructive for the candidate; it must be feasible within time limit set down by the regulations. The choice of subject depends on an agreement between the doctoral student and the thesis supervisor. It is written down when the student is enrolled. The thesis supervisor is called upon because of his/her recognised expertise in the given research field. The thesis supervisor must help the doctoral student to identify the innovative nature of his/her project in its current scientific context. The thesis director defines the resources needed to complete the research project and ensures that this funding is accessible. To this end, doctoral students are fully integrated into their research unit where they can access the same research facilities as the other researchers: equipment, missions, resources, particularly in IT, documentation, attending seminars and conferences and presenting their research at scientific gatherings. Doctoral students are entitled to free expression and representation in the general assemblies and councils of their unit; they are entitled to freedom of assembly and trade union membership. They are represented by elected officials within the various councils of the research unit and the doctoral school and in the assembly of the USPC college of doctoral schools. The members of the research team hosting the candidate may require him/her to respect a number of shared group rules and to respect scientific deontology. More specifically, the candidate must conform to the internal regulations of his/her institution and research unit when such regulations exist. Doctoral students are not to be used to make up for any possible shortfall in technical supervision in the lab or be given tasks that are irrelevant to his/her thesis, apart from technical tasks attributed to the whole unit. If the research is undertaken as part of a partnership with a company or public authority, the doctoral student must not be expected to carry out extra work outside the scope of his/her research. Doctoral students commit to work for a certain time at a certain pace. They must inform their supervisor regularly of their research progress and of any difficulties they encounter. They must show initiative and a disposition for innovative research. The doctoral school must inform doctoral students, prior to their enrolment, of the number of theses currently being supervised by the prospective supervisor. Indeed, thesis supervisors can only provide effective supervision to a limited number of young researchers simultaneously if they are to oversee the research with the requisite attention. The maximum number of doctoral students one supervisor may oversee is set for each doctoral school by the institution’s research commission (or similar) following the proposal of the doctoral school council. Doctoral schools ensure that these limits are respected. Doctoral students are entitled to personal supervision from their supervisor who agrees to devote a significant amount of time to them. On the student’s initial enrolment for the thesis, the principle of frequent regular meetings with a supervision committee is established. Co-supervision with a researcher (who may or may not be authorized to oversee academic research), does not dispense the thesis supervisor from regular supervision of the advancement of the research. Doctoral students are committed to submitting as many papers as their subject requires and presenting their research in unit seminars. The thesis supervisor is committed to regular supervision of the state of the research and to discussion of any new directions it might take given the results so far. The supervisor is bound to inform the doctoral student of positive evaluations as well as potential objections and criticisms raised by the research. The doctoral school council sets the conditions regarding doctoral student supervision and these are published on its Internet site. The doctoral student and his/her supervisor agree to conform to these conditions and to produce the required reports. The regulations governing the organisation of the thesis defence, the appointment of rapporteurs and examining board are those set down in the decree of 25 May 2016. After the thesis has been completed, doctoral students agree to return any material that may have been put at their disposal for their research. They agree to provide the original data that they produced or collected as well as the related written documents, in accordance with the rules of intellectual property in force in their research unit. In compliance with the decree of 25 May 2016, the reference duration for a thesis is three years full-time and six years part-time. Extensions may be granted by the head of the institution on the suggestion of the head of the doctoral school after consultation with the thesis supervisor and the doctoral school council or if necessary and on the candidate’s request, the thesis committees. Extensions must be assessed annually by the doctoral school council. The doctoral student and his/her supervisor provide the information needed for this assessment in accordance with the procedures adopted by the doctoral school council. This information must include a provisional time-frame. The procedures and their application are presented to the institution’s research committee (or equivalent). If doctoral students wish to contest the refusal to extend the duration of their thesis, they may address a written complaint to the head of the institution who makes the final decision. In all cases, preparation for a doctorate requires the annual payment of students’ registration fees to their institution. Doctoral students who do not wish to continue their thesis must notify their doctoral school. This notification must be accounted for by the student and the thesis supervisor. In order to respect the normal duration of the thesis, and in the interests of doctoral students, both students and their supervisors must respect their engagements relative to the requisite number of hours devoted to working on the research. Repeated non-respect of these engagements between doctoral student and supervisor concludes in a common statement that result in a procedure of mediation. The quality and impact of the thesis can be measured through the number of publications or patents and industrial reports that result from the research, whether from the thesis itself or from articles written during its preparation or after the manuscript’s completion. Doctoral students must be named among the authors of all articles or books that refer to their research even after they have left the research unit. Doctoral students must be aware of the requirements of the French laws relative to data protection and confidentiality. These legal requirements must be satisfied at all times. Institutions have a programme for archiving and publishing theses electronically. Permission to publish a thesis is granted by the author and refers to its publication on Internet. Doctoral students receive a thesis publication contract on submission of their thesis prior to the defence. Doctoral students must be aware that the inclusion of quotations in their research without citing sources and authors constitutes an act of plagiarism. Plagiarism is an infringement of authors’ rights and of intellectual property. In case of persistent conflict between a doctoral student and his/her supervisor or laboratory director, any of the signatories to this charter may appeal to a mediator who, without absolving anyone of his/her responsibilities, listens to the parties concerned and proposes a mutually acceptable solution. The mediator is appointed by the director of the doctoral school or, in case of conflict of interest, by the head of the institution where the doctoral student is enrolled for the thesis. The nature of mediator’s task requires impartiality. If mediation fails, the doctoral student or another signatory to this charter can ask the head of the institution where the student is enrolled to nominate an external mediator and if necessary, seek advice from institution’s legal department. For doctoral students with contracts, the appropriate institution department is the consultative committee of contract doctoral students. As a last resort, a final appeal can be made to the head of the institution. Throughout these procedures, doctoral students, whatever their host institution, are entitled to assistance from an elected doctoral student representative or a doctoral student representative committee at USPC.